71, Jalan Pandungan Kuching Sarawak Malaysia. Longhouse style guesthouse, clean and friendly. Breakfast included. No 26 Carpenter Street (China Town) Kuching . 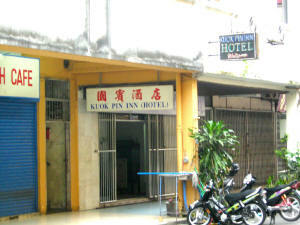 No.1, Temple Street, 93000 Kuching. 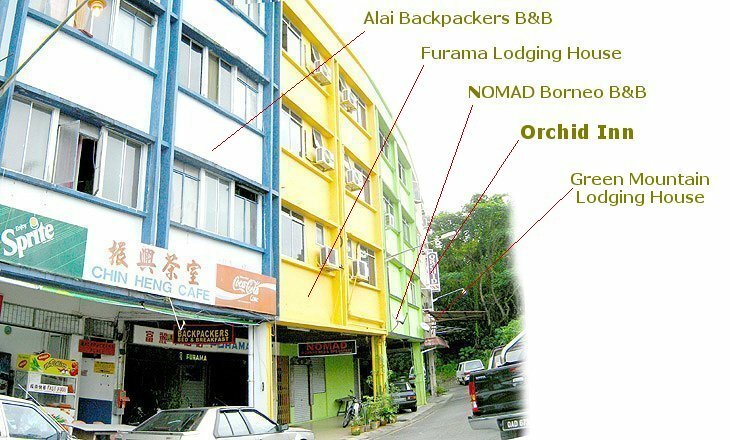 6 082-421346 6 0082-422926 +60 82 429 277, A hip Back-packers lodge that is centrally located at the Kuching waterfront. Colonial House with tropical garden, a nice place that feels like home. Huge rooms with air-con & attached bathroom. Family-run heritage guest house in large garden, offering living & dining rooms, TV room and use of fully equipped kitchen. New guesthouse. Clean, cozy, comfortable and safe place to stay. Friendly staff. Breakfast with Kaya included. Native Iban and Scandinavian ownership, located in the middle of the city. +60 19 6407372, Modern B&B at the heart of Kuching city centre, in the ‘Golden Triangle’ area near the Kuching Waterfront. English speaking staff. 1st floor, 30-1, Jalan Tabuan, Kuching. No. 4, Song Thian Cheok Road, Kuching . 1st Floor, No 3, Jalan Green Hill, Kuching . No. 51, Upper China Street, Off Jalan Carpenter, Kuching . Lot 47-48, Jalan Abell, Kuching . Telephone can not get through. Lot 10365-10366, Panovel Commercial Centre, Jalan Simpang Tiga, Kuching . 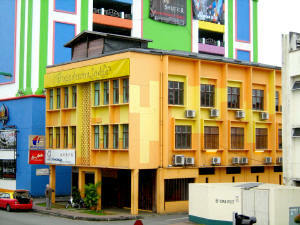 No.28, Block C, King's Centre, Jalan Simpang 3, Kuching . 66 rooms. Kuching's only Orang Ulu owned and managed hotel, reflected in its friendly, laid-back style and traditional Kenyah decor. Lot 3411, Block D, Jalan Tun Razak (short taxi ride from centre). 200-204, Section 51, Jalan Padungan, (behind Ever rise Supermarket). Lot 182, Jalan Abell, Kuching . Location : Damai Central 93050 Kuching . 291, Jalan Abell Kuching . 2nd Floor, Lot 8-9, No. 117-119, Jalan Padungan, Kuching . No.74 Jalan Padungan, Kuching . No. 98, Jalan Sekama, Kuching . Lot 562, Jalan Datuk Wee Kheng Chiang 93450 Kuching . No. 3631, Taman Timberland, 93200 Kuching . No. 56, Ellis Road, Kuching . 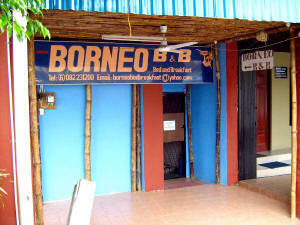 571-3, Jalan Nanas, 93400 Kuching . Eden Height Condominium, J3/4-3 Jalan Lapangan Terbang Baru, 93250 Kuching Sarawak Malaysia. Lots, 306-309, Section 49, KNLD, Jalan Abell, , Kuching . Lot 202, Jalan Padungan Utara, Kuching City Center Kuching . No. 115, Jalan Padungan, , Kuching . Level 1, Lot 21, Block G, Taman Sri Sarawak Mall, Jalan Borneo, Kuching . 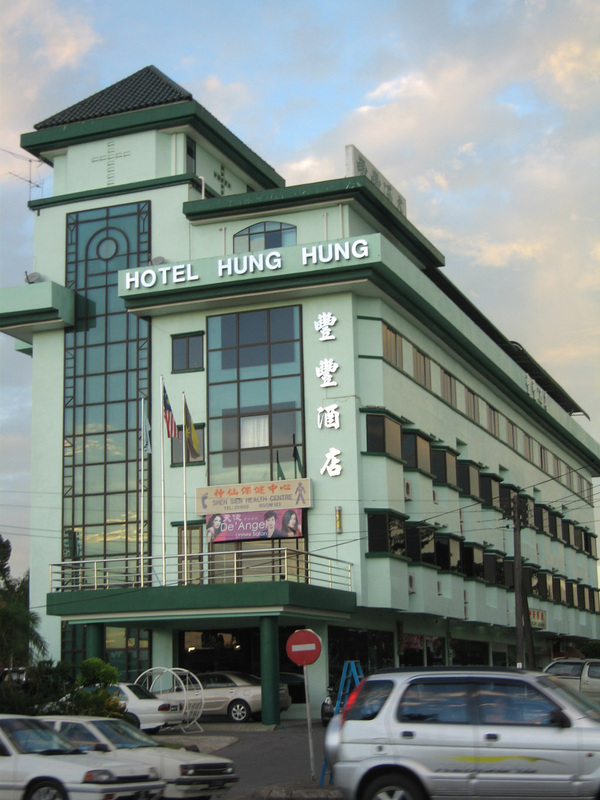 In the middle of Kuching’s golden triangle which comprises Hilton, Holiday Inn and Crowne Plaza Hotels. Clean. No 143, 1st Floor, Jalan Abell, , Kuching . Lot 262-263, Chan Chin Ann Road, Kuching . 93 Jalan Padungan, Kuching . No.6, Padungan Arcade, Jalan Song Thian Cheok, Kuching . Lot 187, Jln Song Thian Cheok, Kuching . 149-151, Jalan Datuk Ajibah Abol 93400 Kuching . Near to Sunday Market & Malay kampongs. RM 42-55. Lot 146, Jalan Tun Ahmad Zaidi Adruce, 93400 Kuching . Next to the General Hospital Kuching. 5 minutes walks to General Hospital and 10 minutes driving to most of the commercial and business centers of Kuching. 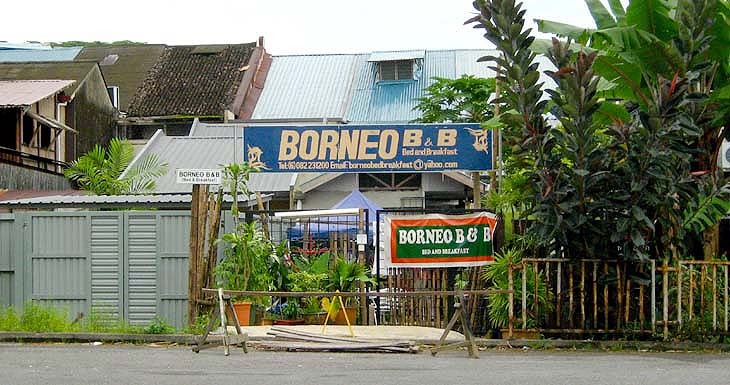 Lot 227, Jalan Ban Hock, Kuching, Sarawak, Malaysia. No. 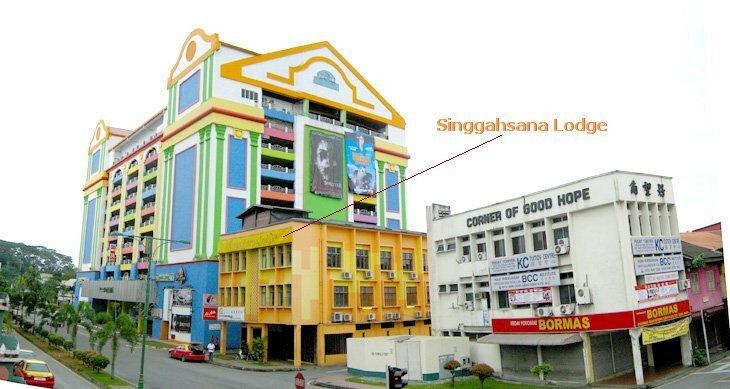 16, 1st Floor, Jalan Market, 93000 Kuching . Tel : (+60)82-241459 Non English speaking. No. 172 Jalan Tan Sri Ong Kee Hut, Kuching. Lot 47-50, Section 49, Abell Road, Kuching . Penrissen Inn, Lot 382-386, Lorong 6, Section 10, KTLD.Jalan Nanas, PO Box 2502, 93750 Kuching. E-mail: penrisseninn@pd.jaring.my. 42 rooms. Room rates RM 69 - 90. Wisma Phoenix, Jalan Song Thian Cheok, Kuching . KDNL Off Jalan Penrissen, 93250 Kuching . Next to Kuching Central Bus Terminal. At the end of airport runway. No. 475, Lg 2A Berjaya Garden, Batu 4 Jalan Penrissen Kuching . No.85, 1st Floor, Ban Hock Road, Kuching . Lot 200-201, Section 51, Jalan Padungan, Kuching . No. 29, 1st Floor, Jalan Tun Ahmad Zaidi Adruce, 93200 Kuching . SL 7&8, Wisma Yee Soon Yew, Jalan Song Thian Chiok, Kuching . Lot 183, 2nd Floor, Abel Road, 93150 Kuching . Lot 496-497, Jalan Nanas, Kuching, 93400 Sarawak, Malaysia. Convenient for Sunday Market RM 50. Newly established self-service accommodation appealing to nearby University students. 10 min drive from Kuching Airport and short walk to The Spring Mega Mall. A/C, wifi, huge room space. Long-term and daily rates available. Guesthouse in Chinatown. Also sells paintings and operates a souvenir shop. 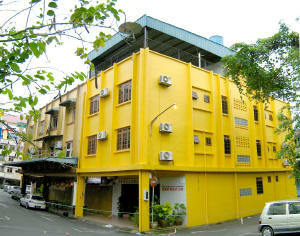 No.246, Lot 425, Lorong 9 Jalan Ang Cheng Ho Kuching . No.3 Jawa Street 93000 Kuching . Jalan Haji Taha, 93400 Kuching . No 36, Jalan Padungan, Kuching, Sarawak, Malaysia. No 5, 3rd Floor, Jalan Song Thian Cheok, Kuching . These four streets and roads are linked to each other and within walking distance to the Kuching Waterfront. Few minutes walk to the Sarawak Museum, minutes walk to Main Bazaar, eating places, visitors information centre and few minutes walk to major shopping complexes. Bus stop to places of interest are located behind. +60 19 6407372 English speaking staff. a small hostel situated along the Carpenter Street. Private room maximum 3 beds at RM20 per bed. Lot 121, 1st Floor, Sec.33 KTLD, Tabuan Road. (opposite Borneo Hotel along Tabuan Rd). 5-6, Jalan Mc Dougall (off Jalan Tabuan), Kuching . 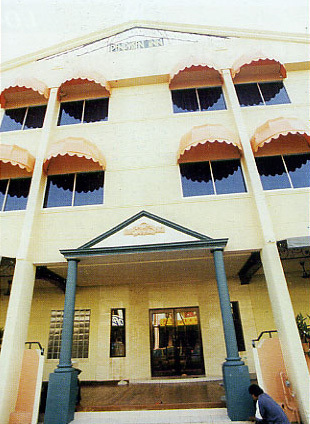 Fata Hotel was among the best hotel in the 1960s and 1970s. Main night clubs were around this Fata area. Saint Mary Secondary School and Saint Thomas Secondary are near by. 30C-F, Tabuan Road, Kuching . 22-23, Jalan Green Hill, Kuching . 2, Jalan Green Hill, Kuching. .
6, Jalan Green Hill, Kuching . 10 Jalan Green Hill, Kuching . 1, Jalan Green Hiil, Kuching . No.16-17, Jalan Green Hill, Kuching . 12 Jalan Green Hill, Kuching . No. 4, Jalan Green Hill, Kuching . (between Orchid Inn & Furama Lodge) No.3, Jalan Green Hill. 24 Jalan Tabuan, Kuching . 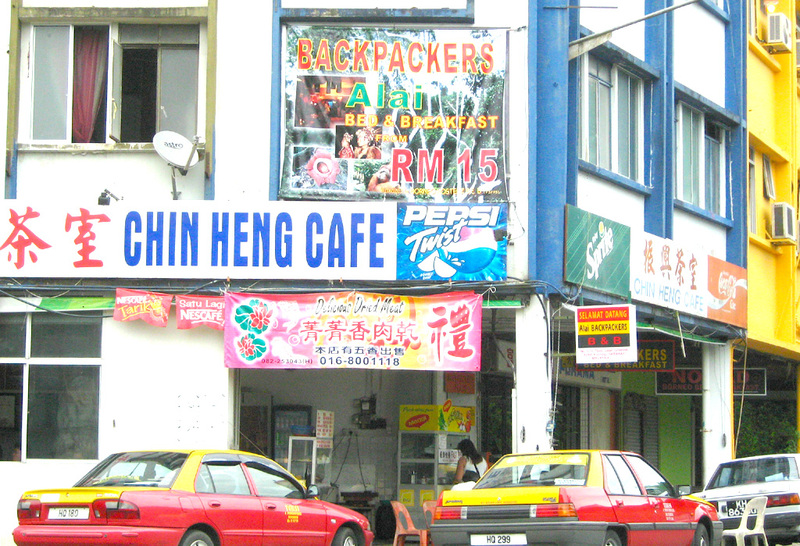 No.49, Jalan Tabuan Kuching . 1st Floor, No.21 Green Hill Road, Kuching Sarawak Malaysia. 21 Jalan Green Hill, Kuching . No. 52, Carpenter Street 93000 Kuching . No 94 Carpenter Street, 93000 Kuching . Forest Lodge, Type 5 2 rooms with three single beds each. -Non-air-conditioned. -Fan only. -Shared bathroom and toilet. RM100 + per room or RM150 + per house. The Pan-Borneo Highway was built in 1986 to link the two East Malaysian states of Sabah and Sarawak. It begins in the district of Sematan in Sarawak, and passes through Kuching, Serian, Sri Aman, Sarikei, Sibu, Bintulu, Miri, Limbang, Lawas, Kota Kinabalu, Sandakan and Tawau. Between Sabah and Sarawak, the highway passed through two halves of Brunei. As of today, the Pan-Borneo Highway is 93 percent completed, with a remainder of a 50-kilometre missing link from Kalabakan to Serudong. Sarawak Transport Company (STC) operates a number of buses which run from the new Kuching Sentral bus station about 1 kilometre west of the Kuching Airport. To get there, turn left as you exit the Kuching airport and walk to the main T intersection, turn left again and walk until you reach the bus station. Bus numbers 3A, 6, 8G and 9 gp into town. 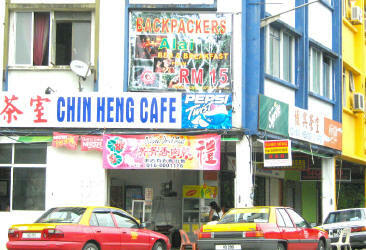 Jalan Green Hill is where most backpackers head direct to upon arriving Kuching City. This is the location for budget hotels and B&B. Some dorms are air-conditioned with comfortable and clean bunk beds. Fresh bed linen is provided for all guests. Around Jalan Green Hill you can easily find eating places. Do not confused this Jalan Green Hill with another Jalan Green (Green Road). These two roads are almost 3 km apart. 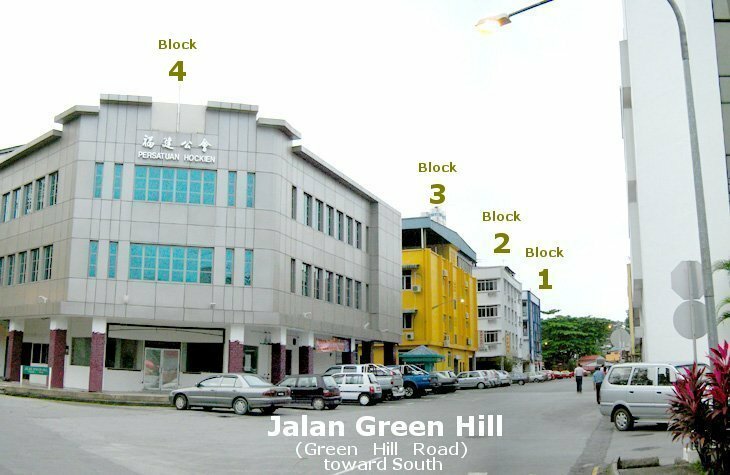 Jalan Green Hill has 4 blocks of buildings. Most of the budget hotels are in Block 1 and 2. 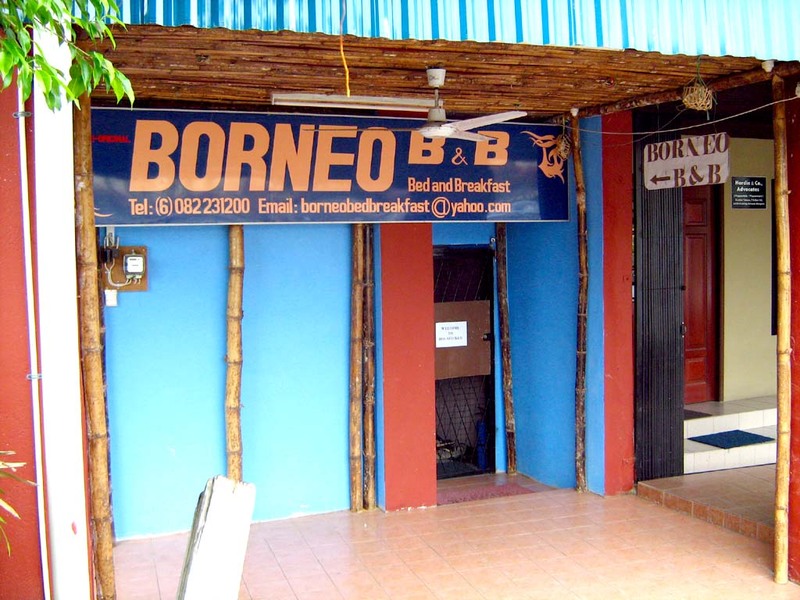 Kuching's first boutique backpacker lodge, with guest lounge, breakfast bar and Internet access. Stylish, well appointed rooms with individual air-con. RM30.80 in a 10-bed dormitory, Rooms RM80.30 (twin, shared bath) to RM115.50 (family, en-suite bath). Shared bathrooms (separate M & F) are 5-star hotel standard. All rates include continental breakfast. Surcharges apply at peak periods. No. 104 Ewe Hai Street, Kuching. Along Ewe Hai Street in the heart Kuching City, Berambih Lodge is only a few paces from the famed Kuching Waterfront and 50 feet from the oldest Chinese Tua Pek Kong Temple. Most places of interest are minutes away on foot. No. 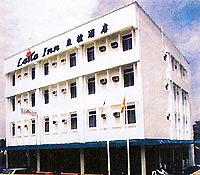 104 Ewe Hai Street, Kuching, Sarawak.